An important first step to attracting customers on-the-go is to create a mobile-friendly website which can sometimes be complicated and confusing. We’re happy to announce that GoMo and DudaMobile have joined forces to make it even easier for small businesses to create a mobile-friendly website. You can create a free mobile site directly from howtogomo.com using a tool powered by DudaMobile. This do-it-yourself site builder, customized specifically for GoMo users, easily converts regular websites into mobile-friendly sites in five simple steps. And it allows you to add features like a click-to-call button, mobile maps and Google AdSense. Sites that are created with the GoMo-DudaMobile tool will be hosted free for one year. 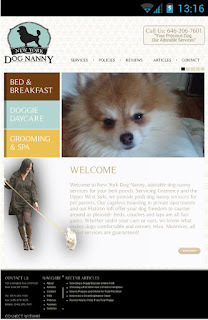 Here’s a before and after screenshot of Dog Nanny’s site. 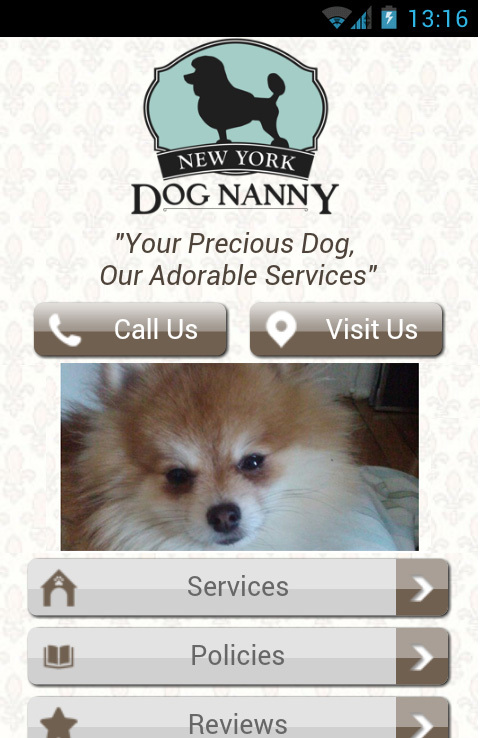 Dog Nanny’s website was not mobile friendly. Visitors had to pinch and zoom to read content. Dog Nanny’s new mobile site - created in just a few minutes - looks great on mobile devices. Please note that DudaMobile’s technology is best for converting simple sites. If your site uses a lot of Flash content, framesets or e-commerce, we suggest that you Go Mobile by talking to your agency or working with one of our suggested developers. Many small businesses are discovering that mobile sites mean more business. Now you have an opportunity to easily create a professional mobile site which will delight your customers when they visit you on the mobile web. Visit howtogomo.com/getstarted and build your site today. It’s time to GoMo!